Four lively local ladies just cashed in on their annual auction prize: dinner for four with Sergio. Margaritas were had by all of the lucky ladies who won the El Charrito meal, including Helen Quaintance, Delores Zielinski, Fritzi Bronec and Susie Snider. Carol Maurer was originally set to attend, but was unable to make it that day. The Annual Food Drive and Dinner Auction, held in March and sponsored by Molalla Kiwanis and the Oregon Department of Forestry, raised funds for the Molalla Service Center, a local food bank that serves more than 500 families per month. The ladies hope to see more support for the auction in the future, including more people attending and more businesses donating. "Because of it being for the food bank, it sure would be great if it could be a bigger auction, you know get more people," Snider said. The ladies' prize was valued at $100, but they paid a whopping $365. They say they paid big dollars for the prize because they love to support local Molalla causes, including the food bank, a cause that is particularly dear to Bronec's heart. For Quaintance, the dinner beats the stud service she bought at a previous auction, a perfectly nice prize for a horse owner, which Quaintance is not. The gals also knew it'd be a good meal and welcome any chance to get together with fellow church member Sergio Rodriguez. "We love Sergio and his whole family," the ladies agreed. Rodriguez is a co-owner (with family members José Rodriguez, Andres Hernandez and Carmen Rodriguez), manager and lead server at El Charrito in Molalla. When asked to donate, he willingly offered up the prize for the annual auction. Rodriguez often donates to local causes, such as Share the Love and school fundraisers. "I'm very thankful with God and all the blessings that he has given us," Rodriguez said, "and we like to give back to our community that has always supported us." 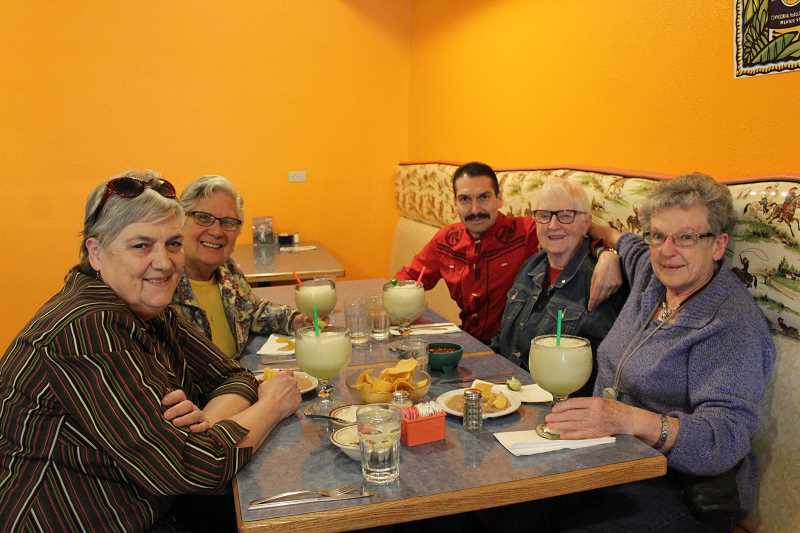 Rodriguez and family recently celebrated El Charrito's 20-year anniversary with a celebration that included a mariachi band, and Rodriguez recalled what brought him to Molalla in the first place. "One time we came to the Buckeroo in 1990," he said. "After that, we decided to open another restaurant, and I remembered this little town. We came down here and we found this little place." His favorite part about the restaurant business in Molalla? "To serve the people," he said, "and here, the people in Molalla are really friendly."